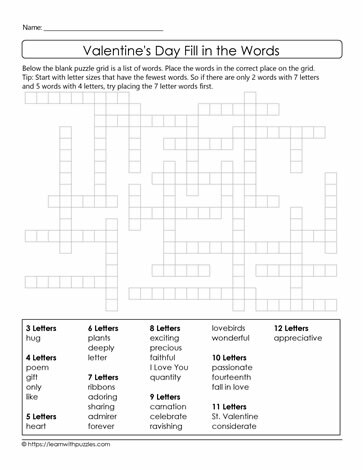 Challenge students with freeform crossword puzzles. Below each puzzle grid is a list of words. Place these 30 words in the correct place on the grid. Puzzle Solving Tip: Start with letter sizes that have the fewest words. So if there are only 2 words with 7 letters and 5 words with 4 letters, try placing the 7 letter words first.